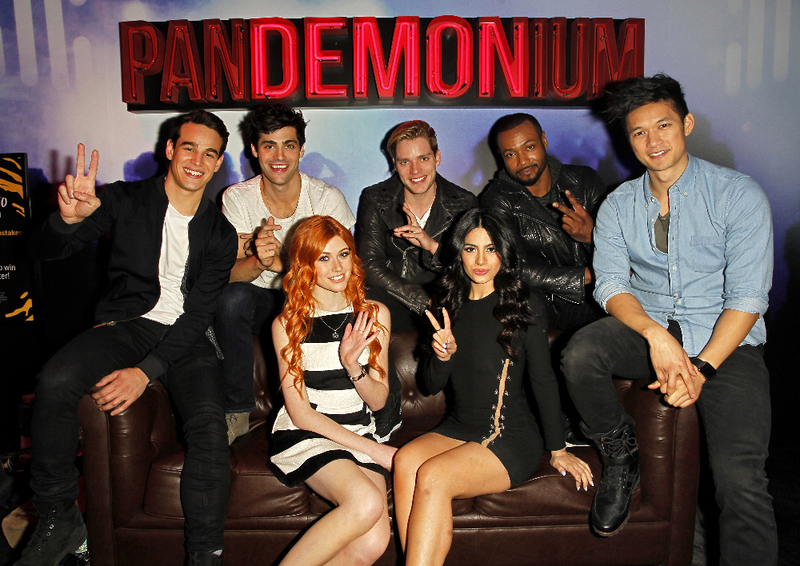 SHADOWHUNTERS - The cast and creators of ABC Family's "Shadowhunters" appear at New York Comic-Con on October 10, 2015 to discuss the new series. "Shadowhunters" premieres Tuesday, Jan. 12 at 9 p.m. ET on ABC Family. (ABC Family/Lou Rocco) ALBERTO ROSENDE, MATTHEW DADDARIO, KATHERINE MCNAMARA, DOMINIC SHERWOOD, EMERAUDE TOUBIA, ISAIAH MUSTAFA, HARRY SHUM JR. Nothing quite says entertainment than the cast of ABC Family/Freeform’s Shadowhunters making Shadow Puppets. Every week, ABC Family has a web series called OTF – “On the Fly,” where they have the casts of their hit shows showcased in playful and interesting ways. Watch the video below to see Kat McNamara, Dom Sherwood, Alberto Rosende, Matthew Daddario, Emeraude Toubia, Harry Shum Jr. and Isaiah Mustafa give it their best. And decide for yourself who made the best shadow puppet. Shadowhunters premieres January 12 at 9/8c on ABC Family. Shum rules with his puppets!